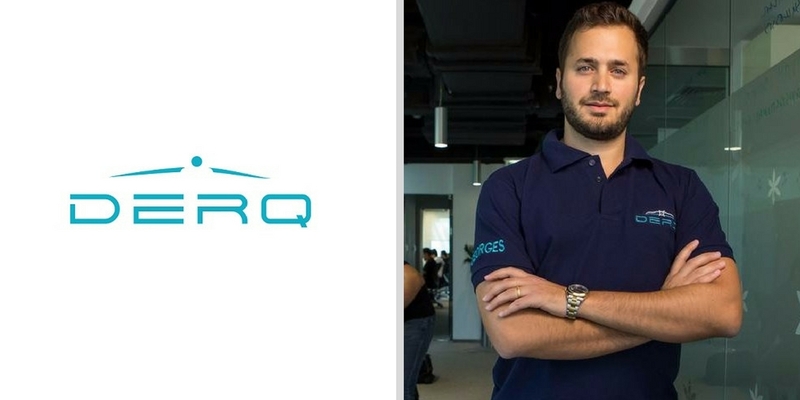 Derq, a Dubai-based startup that uses artificial intelligence and V2X (Vehicle to everything) communication technology to reduce road accidents has raised $1.5 million in seed funding. The funding came from Techstars, angel investors and some family offices. Co-founded by Dr. Georges Aoude, Karl Jeanbart & Dr. Amer Abufadel, the startup had graduated from Techstars’ Mobility Accelerator in Detroit, United States. The company is now opening an office in Detroit that will serve as its U.S. headquarters. Dr. George, the founder & CEO of Derq who happens to be a Rocket Scientist from MIT very recently pitched his startup at Techstars Mobility Demo Day. He had started his pitch by explaining how planes never collide with each other in the skies, which is only only because of the fact that they communicate, with each other and with a grand controller. With Derq, the idea is to use vehicle to vehicle and vehicle to infrastructure communication to make roads safer. Derq’s patented technology uses cameras fitted with sensors and an alert device fitted in cars, to send an early-warning or alert message to drivers about the danger from other vehicles, such as sensing when a driver at an intersection would run a red light. The two-second warning startup thinks should be enough to stop a collision from happening. The company collects a lot of data from the sensors and cars in its network. “We’re able to predict 9 out of 10 violations and potential accidents and these results beat the industry benchmarks by a landslide,” said Dr. George while pitching the startup at Techstars Mobility Demo Day. It has recently signed an MoU with Dubai Silicon Oasis Authority, Roads & Transportation Authority of Dubai, to use Derq’s cutting-edge technology in accident prevention. They are already live in Dubai Silicon Oasis, as cliamed by Dr. George in his pitch. The company aims to seek contracts with OEMs, fleet operators, tier one suppliers and ITS/solution integrators that can use its technology to prevent accidents. Derq plans to use the seed investment to staff its Detroit office, expand its patent base and fund software and hardware development. Dr. Georges Aoude said the company will begin raising a much larger funding round in the next few months. Founders of Derq which is an MIT spin-off are alumni of MIT, Georgia Tech, IIT, and McGill. They have work experience with companies like Ford, Siemens, NASA, and governments in the United States, Canada, and the Middle East. “The team behind Derq is incredible. Literally, rocket scientists out of MIT. They are committed to making the roads safer for everyone. They have a tremendous pilot in Dubai that is underway,” said Ted Serbinski, Managing Directory of Techstars Mobility.